US Business Fulfillment is a service portfolio ideal for international customers who wish to buy and sell merchandise in the United States and save in shipping, processing and import taxes. The service will allow you to fulfill all your online sales via eBay, Amazon, Buy and any US marketplace rapidly while saving up to 60% in processing cost. Our Business Fulfillment Service is a full-service, end-to-end fulfillment in every sense of the word. 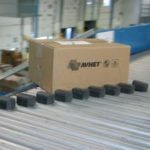 We are able to custom tailor a suite of order fulfillment services to fit the needs of any size business-to-consumer or business-to-business client. With our team of dedicated employees, we provide every imaginable fulfillment service from data entry, order processing, product fulfillment and literature fulfillment to inventory control, storage, pick and pack, kit building and hand assembly. Catalog, infomercial and all types of direct response fulfillment. Customized packaging solutions. Import/Export services and customs clearance. Customized reporting and real-time shipping and tracking systems. We do whatever it takes to ensure the seamless flow of all your sales and marketing activities. To experience our unmatched level of Fulfillment SERVICE, simply contact us with your specific challenge. You’ll not only get answers, but a taste of our unrivaled commitment to customer service.